The Das Blinken Top Hat was an awesome gift built by Diana Eng and David Clausen and given to Nathan and Alicia at their engagement party. 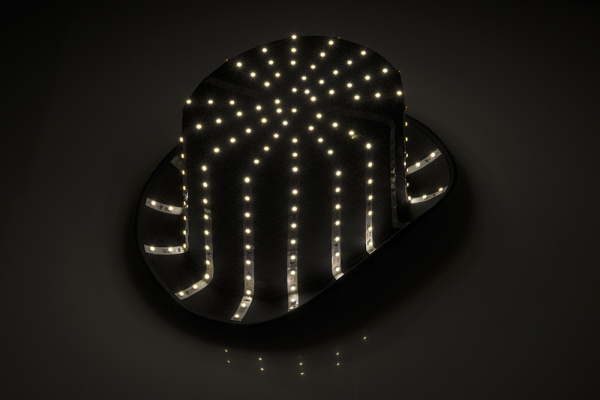 As the hat is tilted it lights up with rotating effects. Das blinken top hat combines white LED strips, a small Arduino Pro Mini, and an accelerometer to get a pretty nifty effect.